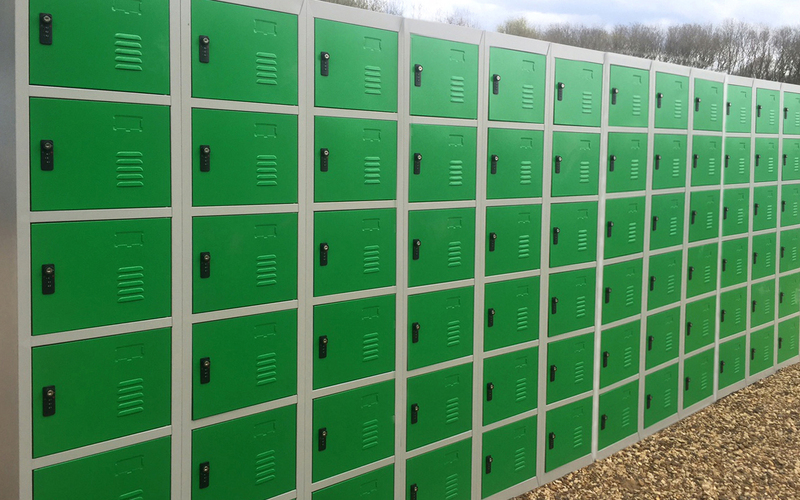 The Big Locker Hire Co. have a massive stock of lockers available for hire and ready to deliver to your warehouse, office, event, festival, visitor attraction, theme park, campsite, concert or school. Just ask about our ready to go locker solutions. We can supply lockers and phone charging lockers on a revenue share basis. This means that we pay for the installation and you get valuable revenue. Bespoke lockers are also available for hire or purchase from The Big Locker Hire Co. Using our own manufacturing and assembly supply chain allows us to produce completely bespoke lockers for you. Locker hire and locker sales. We can supply a vast range of Metal Lockers, Wooden Lockers or Plastic Lockers all in different sizes and with a variety of locking mechanisms. We can talk you through the different options to help you decide. Locker hire for all your needs. We work with Event Lockers, Festival Lockers, School Lockers, Gym Lockers, Golf Lockers, Campsite Lockers, Warehouse Lockers, Office Locker Hire, Visitor Attraction Lockers and Theme Park Lockers customers. We are able to create off the peg or bespoke solutions for all of your hire or purchase requirements. Whether you need Security Lockers, Cloakroom Lockers, Storage Lockers or Phone Charging Lockers, we have them all available for hire or purchase. SO MUCH TIME FOR THIS SECURE SERVICE! "I used these lockers at Global Gathering. Such a great idea! "- greg_ross"
"Kept my phone charged up all weekend at V! "- krazyjoe1"
"When I took on extra staff they were able to supply the extra lockers I needed – and quickly. "- David. C. Tranmer"